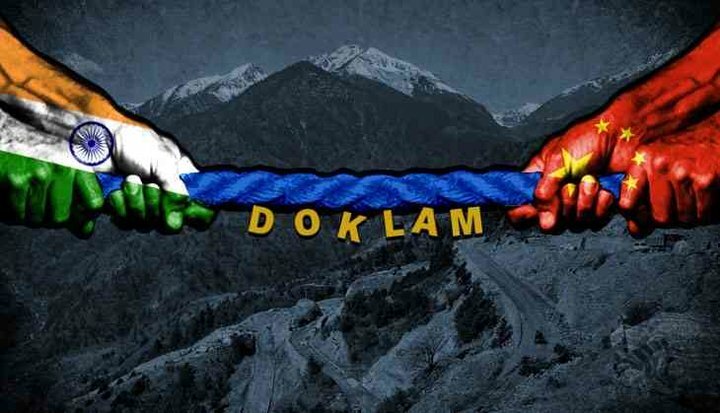 (TibetanReview.net, Oct06, 2017) – Nearly two months after India and China agreed to end their standoff at Doklam near the former’s Sikkim state and the latter’s occupied Tibetan county of Yatung in a Bhutanese territory, Beijing has still not withdrawn its forces from ground completely, reported Indian online media reports Oct 5. “We expect them withdraw,” India’s Air Chief Marshal BS Dhanoa was quoted as saying during the annual press conference of the Indian Air Force in New Delhi. While making it clear that there was no standoff as such, Dhanoa has said Chinese troops were still stationed in the Chumbi valley in Doklam area in the southern reaches of Tibet along the Line of Actual Control. “I expect the forces to withdraw in the future as their exercises in that area get over,” the hindustantimes.com Oct 5 quoted Dhanoa as saying. The Doklam standoff had lasted 73 days since Jun 16, with China’s official media ranting daily about imminence of military action to remove the Indian troops. It ended just ahead of Indian Prime Minister Narendra Modi’s scheduled to visit China for the BRICS summit. Indian troops had stepped in to stop China from building a road into the Bhutanese territory claimed by Beijing as a part of its claim over Tibet after being alerted by Thimpu. The road, if built, was also seen as a strategic threat to India.